Join RBO Newsletter and get an Exclusive Coupon! Are you looking for a high-quality sound wired earphones for calls and music listening convenience in your indoors and outdoors? Acoustically engineered with hole sound design to deliver powerful bass and dynamic clarity when listening to your favorite songs and during calls. Features a solid material that Isolate external noise and minimize leakage for crisp audio experience in noisy outdoor environments such as trains, streets, bus, gym, and park. Mini-sized and ergonomically designed to ensure the most comfortable fit and incredible sound experience without fatigue. Anti-sweat and anti-drop design, Great for running, weight lifting, hiking, biking, gym, jogging and much more. Compact, Portable, Sweatproof, Comfortable and lightweight, whether it is sports, workout or leisure, these earphones will provide you all-day comfort without burden. The perfectly positioned in built-mic and in-line remote control functions allow hands-free calls or music streaming without operating your devices. 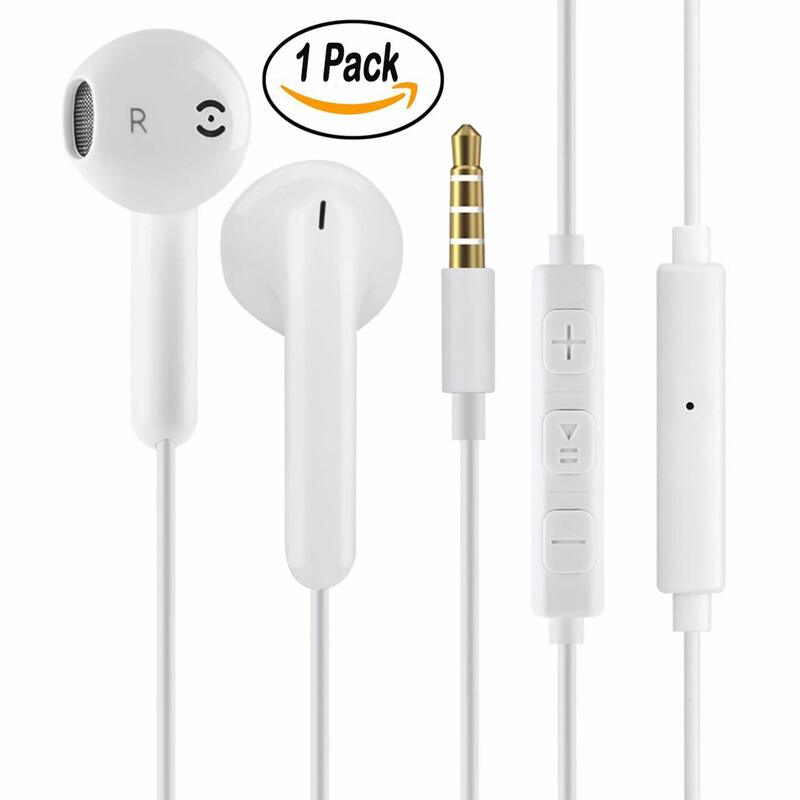 Compatible with all 3.5mm port enabled devices, such as iPhone, iPad, Samsung, LG, Huawei, Android smartphones, tablets, laptops, PC, MP3/MP4 etc.